A winged horse given to Hercules as a gift from his father, Zeus. He is a loyal companion, and helps Hercules whenever he can with whatever he can. 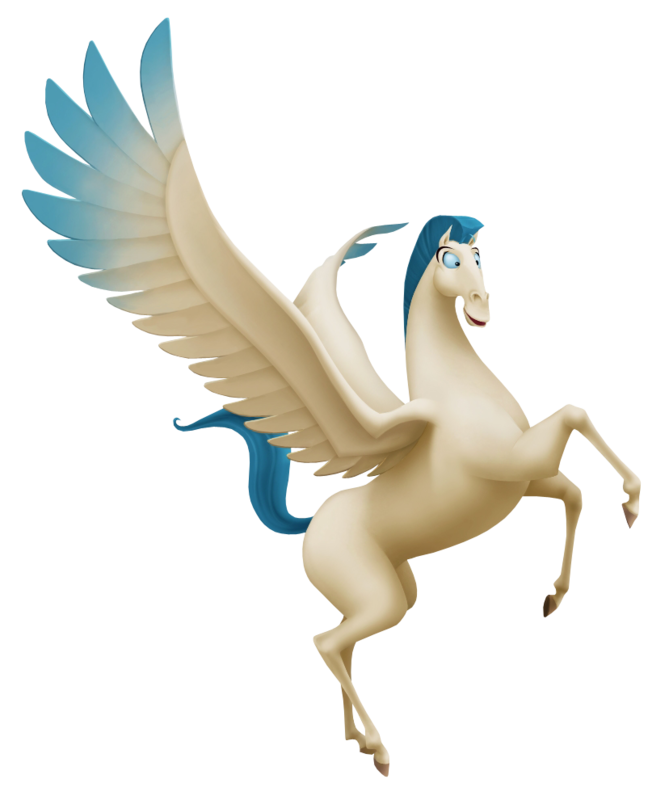 During Sora's second visit to the Coliseum, Pegasus helped the boy and Hercules numerous times, be it during Meg's rescue operation or the fight against the Hydra that destroyed the Coliseum. 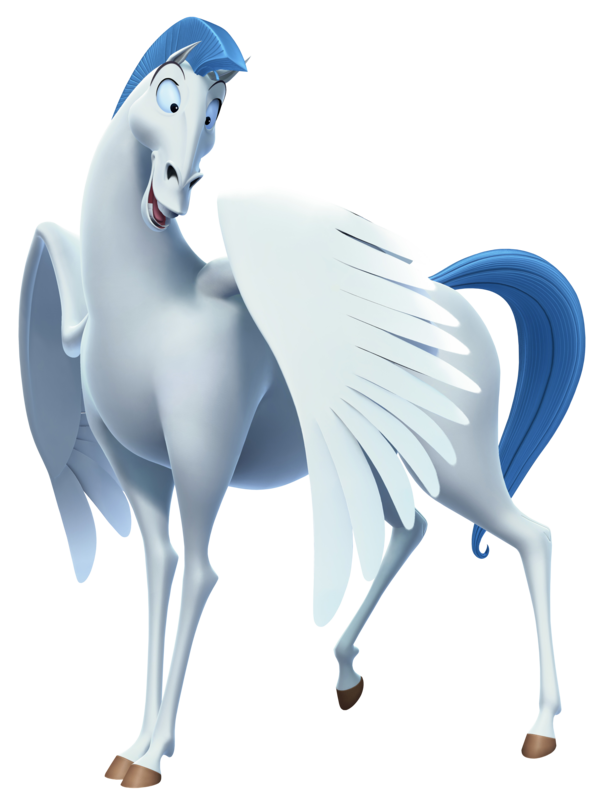 A gift to Hercules from his father and mother, Pegasus has been a loyal companion to the demi-god for many years. During Hades assault on Olympus, Pegasus helps retrieve Megara and Philoctetes from Thebes.